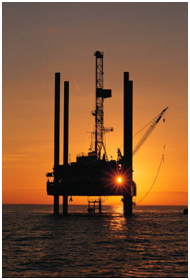 Flow Measurement Systems is a Cairo based company specializing in oilfield instrumentation. Our field of expertise includes, but not limited to, calibration and maintenance services of pressure instruments including pressure gauges, weight indicators, pressure relief valves, Chart Recorders, Pressure test for hoses & vessels& pipes and connection. Electrical, Industrial machines, Thickness inspection, Electronic measurements and lab design, In addition to providing training courses. Flow Measurement Systems provides personalized service to each and every customer. Our attention to details has acquired us a large customer list. Our goal is to provide you with reliable testing, measurement and calibration services. All calibration and testing work is performed using adequate international methods and by experienced technicians working with certified supervisors. Every test is traceable to the National Institute of Standards (NIS). We maintain complete records of each calibration/test and procedure for each instrument. Flow Measurement systems aims at assuring our customers that your test or calibration data are accurate and reliable. We comply with international standards including the API ( Q2 ) and ISO ( 9001 : 2008 ) and ISO (14001 : 2004) and OHSAS ( 18001 : 2007 ) We are accredited by the ILAC, based on the international mutual recognition arrangements (MRA), under the guidelines of ISO/IEC ( 17025 : 2005 ) for general requirements for competence of calibration and testing laboratories. The ILAC is the peak international authority on laboratory accreditation. Laboratory accreditation provides our customer with formal recognition of the competence of our laboratory. We are re-evaluated regularly by the accreditation body to ensure our continued compliance with requirements. We also participate in relevant proficiency testing programs as further demonstration of our technical competence. Thus, being accredited is highly regarded both nationally and internationally as reliable indication of our technical competence. Accordingly our data is readily accepted overseas. 7- The quality assurance of test and calibration data. Flow Measurement Systems provides Certified Engineer to install and commission instrumentation equipment. We can also refurbish your existing equipment, including providing a rental loaner while we work on your equipment. We also sell, and service all of your instrumentation equipment needs. Our expertise with equipment puts us in unique position to satisfy all of our customers' instrumentation needs and by constantly improving quality to better service our customers, and with up to 30,000PSI high pressure calibration we will continue to be the principal source for instrumentation service in Egypt.